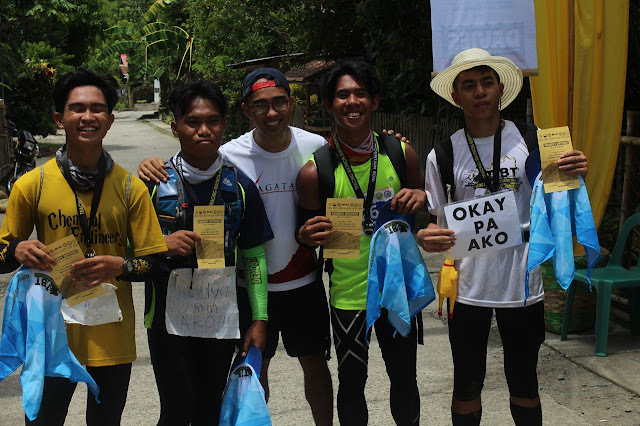 The 50K race was indeed an insurmountable test of one's being that it almost eclipsed the might of the equally challenging 21K and 11K courses. 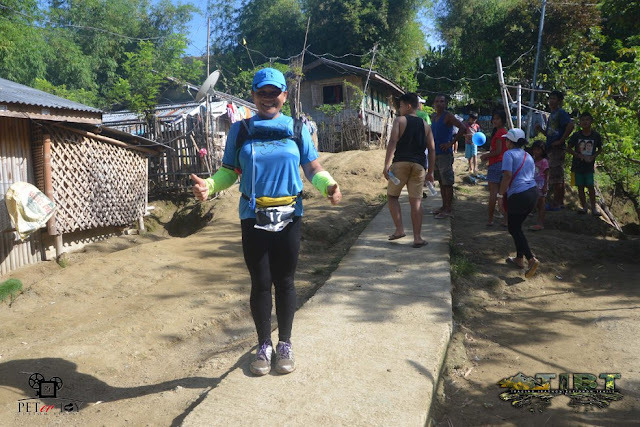 As the 21K female champion confessed, she had done two full marathons but the struggle in the TIBT 21K was more testing than that of the two marathons combined. This is not a report on who finished ahead of whom and with what finish time. This is to highlight the virtues that were drawn out of the core of the spirit of each racer. Their story is what TIBT 2018 is all about. It’s a story of teamwork, fellowship and determination all leading to an unparalleled sense of achievement. I learned of four 50K racers cooperating to search for the reflectorized ribbon markings during the earlier part of the race. 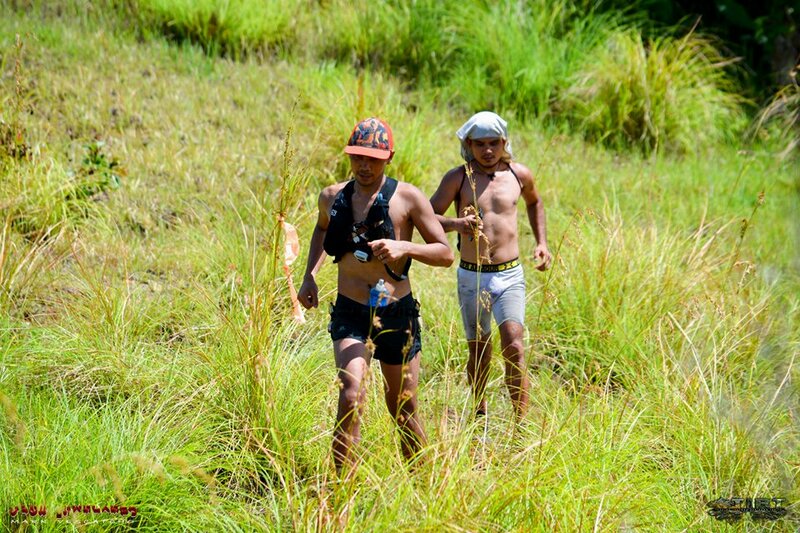 I also heard of a few experienced racers talking others into being wiser than fighting a losing game and voluntarily opting out of the 50K race before getting senselessly tortured by the relentless uphells to Mt Igmatungtong, the sweltering Antique heat and the razor-sharp blades of Laua-an talahib. But nothing could break the spirit of the senior high school students who crossed the finish line together barely making it to the 21K cut-off time, all exhausted but still spirited enough to raise up a placard saying ‘Okay pa Ako!’ These stories remind us that great things are accomplished when people work together for the greater good. But I had never been more inspired and moved by a finish line scene than the arms-link finish of the last four 50K finishers who I had left for missing. We were already tidying up the finish line area and ready to leave when one of the crew came rushing to the finish line overpowered by the news that the missing four runners were now approaching. We learned later that at the KM 42 mark, three of them were ready to take the DNF ride back to the finish line when the fourth one said ‘Tapusin natin to mga tol. Birthday ng anak ko ngayon. Pero nandito ako kasi marami pa naman syang birthday. Itong TIBT 2018, ngayon lang to.’ So they got off the motorcycle and decided to give it their last-ditch effort. They braved the unforgiving challenge of the final uphell and crossed the finish line together with each others' arms locked, all emotional, traumatized and victorious! They are a testimony that a DNF can be turned into a victory with just the right amount of motivation. They crossed the finish line about 20 minutes before the cut-off time. But they were not happy that they made it within the cut-off. It was no longer about the finish time. It was purely about the finish! And this just proves that those who Did Not Finish are in NO WAY less strong than those who did. Some of them just fell a little short of faith and motivation. Remember that the racer who hopped on the motorized DNF ride was the same warrior who changed his mind and resolved to face the final uphell challenge and cross the finish line as a victor. TIBT 2018 surely showed us how far we can go and reminded us how much we could have endured had we not given up. It tells us of teamwork and fellowship--that great things are accomplished when at least one person’s positivity outshines the surrender of others’--and of determination: the unyielding resolve to accomplish a mission that makes us say 'Okay pa ako!' even when our spirits have been mutilated. These stories flooded my news feed more quickly than the runners crossed the finish line. But the sweetest of these stories is the story of the kindness of the locals. They have the least of possessions but their hearts give the most. Some households became instant volunteer aid stations offering cool refreshments to runners passing by. They were there to cheer, to hydrate and ultimately to push each racer to the finish line. Duro-duro gid nga salamat sa mga pumuluyo kag Laua-an, Antique. And like what one of the titos said, it rekindled the competitive spirit in him and I couldn’t agree more. If there ever will be a third edition of TIBT, I’m no longer going to be part of the organizing team. You won’t see me giving the race briefing and cheering each incoming finisher. I won’t be there on the background anymore because this time I will be running it! The words coming from the man behind Lagataw. 👏👏👏 Thank you Sir!